Everywhere we turn, a startling new device promises to transfigure our lives. But at what cost? 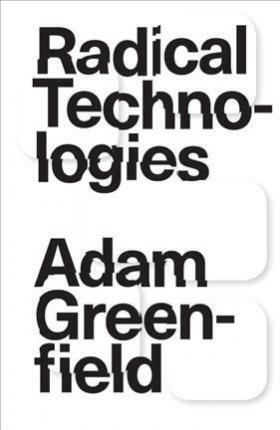 In this urgent and revelatory excavation of our Information Age, leading technology thinker Adam Greenfield forces us to reconsider our relationship with the networked objects, services and spaces that define us. It is time to reevaluate the Silicon Valley consensus determining the future. Having successfully colonised everyday life, radical technologies – from smartphones, blockchain, augmented-reality interfaces and virtual assistants to 3D printing, autonomous delivery drones and self-driving cars – are now conditioning the choices available to us in the years to come. How do they work? What challenges do they present to us, as individuals and societies? Who benefits from their adoption? In answering these questions, Greenfield’s timely guide clarifies the scale and nature of the crisis we now confront – and offers ways to reclaim our stake in the future.